Triangular shaped Paneer with Capsicum and some Indian spice will make your snack time delightful. 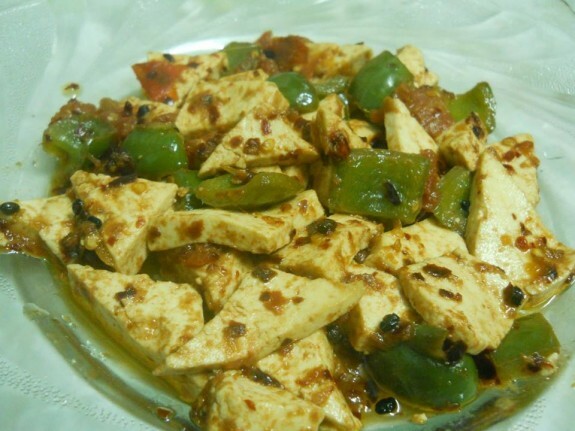 So, get this healthy, tasty and easy to cook Paneer Capsicum snack recipe to give a little rest on your appetite. 1. Heat oil in a pan and add ginger and garlic. Saute for 1 min. Add coriander seeds, green chilies and red chili flakes and sauté for again couple of mins. 2. Add tomatoes and cook for few minutes till the tomatoes are soft. Add capsicum and stir it for 4-5 mins. Now, add the Paneer and toss well. 3. Add salt and dried fenugreek leaves and mix well. Cook for 1-2 mins. 4. Sprinkle with lemon juice and garnished with chopped coriander leaves.